General description : Gateway Classic Cars is proud to present this 1981 Alfa Romeo Spider Veloce. 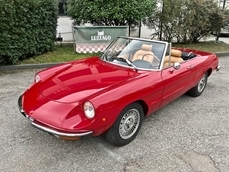 The Alfa Romeo Spider Veloce began production in 1966 and was an immediate hit in the industry. Series 1 styling was only produced from 1966-1969 until the revised version, Series 2, was introduced in 1970. 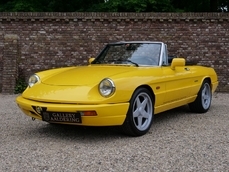 This Spider Veloce was produced in the last year for the Series 2 model before minor changes were once again made on the styling. This car was made for the track and is ready to give you the fun experience at a track day you have always wanted. 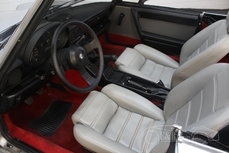 The car’s powerhouse is a 2.0L I4 which is backed by a fun and smooth shifting 5-speed manual transmission and a full custom exhaust system with headers. The power is put to the rear tires through a 4.56 rear differential, giving the car some surprising acceleration. To keep you comfortably in control on those fun track days is a set of custom bucket racing seats and a 5-point harness system. To improve the handling on this sweet track car, a roll bar and reinforced framework were added. The car comes in a sporty red and yellow color combination that gives it a great track car look. 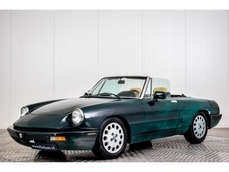 Other options on this 1981 Alfa Romeo Spider Veloce include: traction control, cassette player, AM radio, performance radial tires, cloth interior, 5-point harness system, manual convertible top, and power windows. 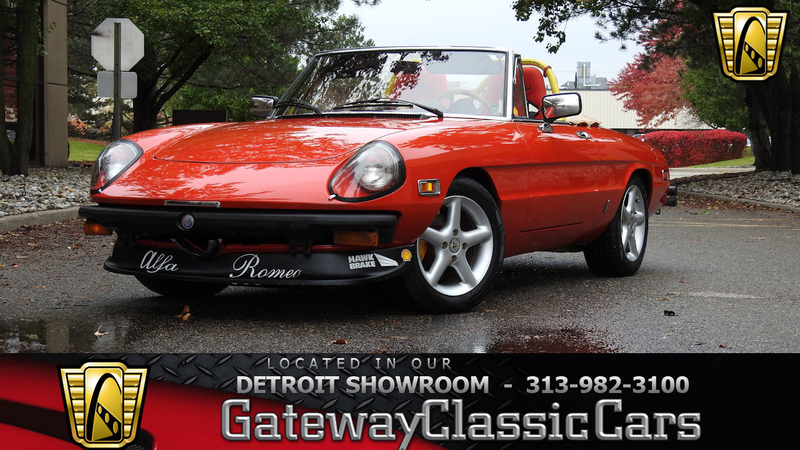 For more information on this 1981 Alfa Romeo Spider Veloce, visit http://www.GatewayClassicCars.com or call our friendly and knowledgeable staff at (313)-982-3100. 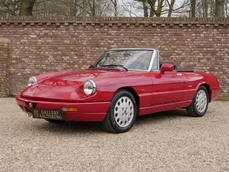 1981 Alfa Romeo Spider 2.0L Inline 4 F DOHC is listed for sale on ClassicDigest in Dearborn by Gateway Classic Cars - Detroit for $11595.